Development mortgages and syndicated mortgages are complicated. The returns look good from the outside but the question is, should you be investing? In other words, the Ministry of Finance was saying that development mortgages were not suitable investments for small investors because of their risk. Evaluating a borrower’s ability to meet the mortgage payments takes a certain level of skill. It may depend on the use of the property and a successful commercial business. Syndicated mortgages have complex legal structures and complex documentation. Investors in these types of investments have less direct control over the investment. Working with an experienced developer mitigates a lot of these risks. Evaluating these risks is very important. Consider the risks and know there is a potential for a loss. If zoning is in place and there is no building permit there could be changes required to obtain it which could affect the time-line and thus the profitability of the development. Leading to a loss. Generally seventy percent pre-sales are required for projects. If there are insufficient pre-sales, it can make it difficult to obtain construction financing and there could be a loss. The initial investors want to get paid out when the mortgage matures. There is a risk that the investors may not be repaid if the development is not completed on time. The mortgage will need to be extended and the developer may not have the funds for the mortgage payments until the development is completed. There could be a loss. If the developer gets into financial trouble, it could be bought out or sit in a development limbo for years. then there could be a loss. In other words, development mortgages are high risk investments. So, before investing in development mortgages you need to get an opinion of value to make an educated decision. What is an Opinion of Value? An opinion of value is an appraisal that gives you the fair market value (FMV) of the property as of a specific date based on comparable sales. Without similar recent sales, the appraiser makes assumptions as to the FMV. When Investing in development mortgages, the investor needs to determine how the appraiser came to the FMV and reason whether the assumptions used were valid. The Opinion of Value then is the task of determining how a project will likely turn out. The result is residual value of the project which includes the land and the profit. Now it is important to note, the opinion of value is a theoretical future value and not todays fair market value of the land. Should you invest your RRSP / TFSA in development mortgages? To play in this game you need to know the rules. The CRA requires mortgages to be qualified investments, with the loan to value to not exceed 100% of the fair market value as the CRA sees it. Just because there is an appraisal that shows the FMV higher does not mean the CRA must accept it. If this happens the onus is on the investor to prove the CRA wrong. This can be costly. So, keep this in mind when looking at appraisals and don’t invest above 90%-95% of the FMV. The CRA has the last say for what categories you and your investments fall under. You don’t want to have to pay 50% of the amount invested if it turns out the investment is non-qualified. Can you imagine if you lost money on the investment and had to pay the 50% tax as well! 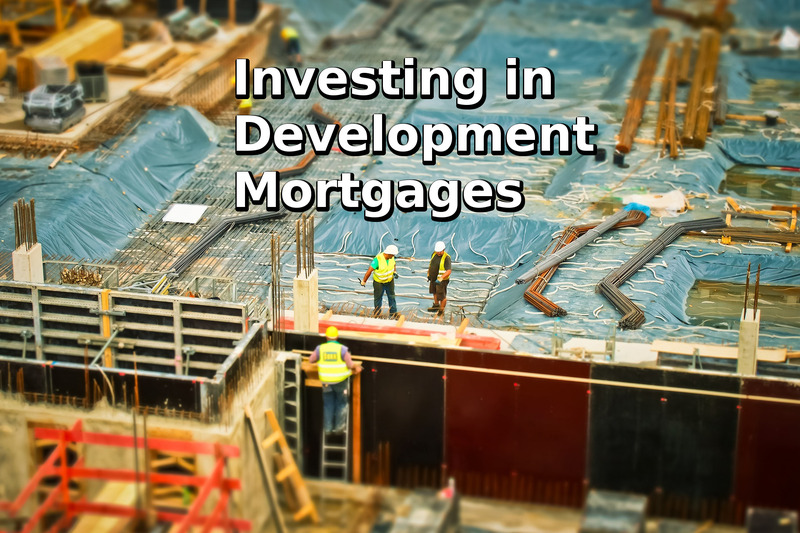 In summary, development mortgages can have great returns but as an investor it is important for you to consider the inherent risks and experience level of the developer. Do your due diligence and you can see massive gains.